What matters most? Priorities are key in our everyday lives if we are to be successful and productive. This is equally true in our discipleship. We want to concentrate on what is key, essential, and most important. 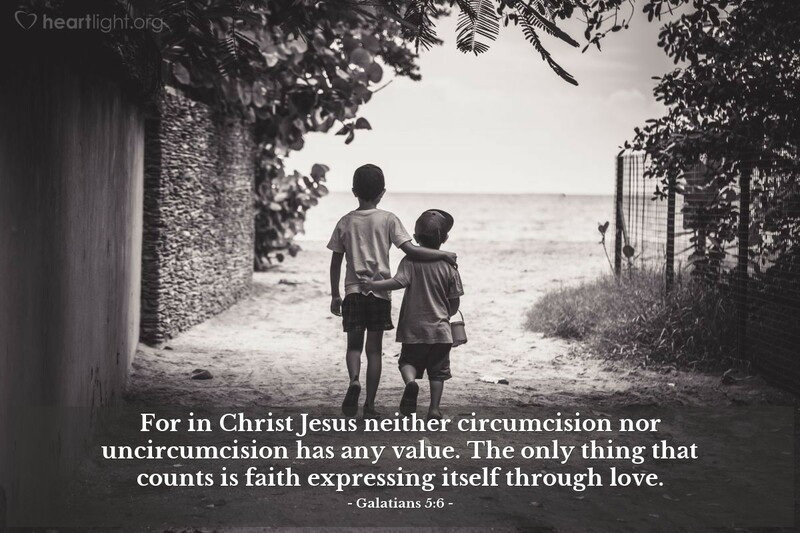 Paul reminds us what is essential: Faith showing itself in loving actions. Faith that does not show itself in loving and helpful action is dead (James 2). Jesus wants our faith to express itself in vibrant and loving service. Almighty God, please forgive me for the times I have lost sight of what is essential and focused on what is peripheral. Please forgive me for the times when my interests and concerns were more important to me than loving service to others. Please give me eyes to see the people you would have me serve today so others may know Jesus' love. In Jesus' name I pray. Amen.